Always attention to detail, technical skills, passion in our work and great attention to customer needs are the strengths that have allowed us to excel in the field of sale of "PINSTRIPING " Instruction & Designs di Todd Hanson. Consultando il catalogo di Aerografando you will immediately notice how vast it is and how diversified the model range is Books, magazines and DVD's, you will find the best "PINSTRIPING " Instruction & Designs di Todd Hanson offers at the best prices on all "PINSTRIPING " Instruction & Designs di Todd Hanson of the brands . Todd Hanson with over 30 years of experience and contributor of SignCraft Magazine, wrote this manual with over 200 hand made and hogh quality designs. The book is divided into 3 sections and make you understand the pintriping technique, brush shape, color mixing and the step-by-step study of a project. Several color pictures, show finished pinstriping projects on different bases as hot rod, trucks, motorcycle, gasoline tanks and panels. Book dimensions: 21 x 28 cm. Read the reviews of our customers on "PINSTRIPING " Instruction & Designs di Todd Hanson of the category Books, magazines and DVD's. 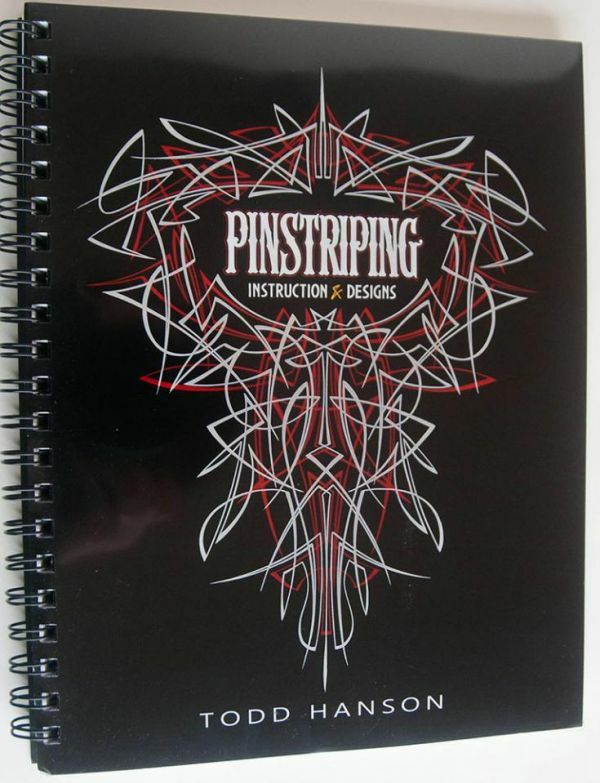 Review "PINSTRIPING " Instruction & Designs di Todd Hanson of the brand . Trust in the quality and professionalism of Aerografando on the sale of "PINSTRIPING " Instruction & Designs di Todd Hanson, only from us you will find the best prices. You want to have more details on "PINSTRIPING " Instruction & Designs di Todd Hanson BOOK-PI&D or more generally on ours Books, magazines and DVD's? You are looking for a Books, magazines and DVD's but do not you find it in the catalog? Staff of Aerografando will answer all your requests.